As I watch more and more movies, I find myself recommending hypothetical double bills of films that complement one another in some way. In the hypothetical Deborah Krieger Film Festival, every film chosen to be viewed in a single session would address similar themes in similar settings, differing in terms of their aesthetics (Snowpiercer and Hotel Artemis), or present two views of the same kind of subject (Edge of Seventeen and Carrie Pilby). 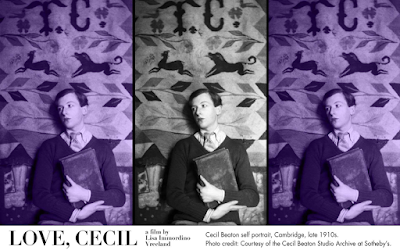 Love, Cecil, the exhaustively-researched new documentary about designer-photographer-writer Cecil Beaton, would then pair nicely with Phantom Thread, Paul Thomas Anderson’s mannered comedy-drama about a figure with whom Cecil Beaton would respect in principle and likely loathe in person. Beyond the biographical similarities between the fictional Reynolds Woodcock and the very real Cecil Beaton—they were both English; they loved dressing up their mothers; they really loved their mothers in general; they were inspired by the female form; they were active during the same period of time—it would be extremely curious to be able to compare and contrast how Woodcock and Beaton approached the world. As a designer, you control one-third of the conversation: you control what is made. As designer-photographer you control what is made, and how it is represented. The third element is us, the audience: how what has been made and represented is now seen. There are hints of brilliance in how the documentary is constructed. Before we begin with the biography of the man, we’re treated to a sort of greatest-hits to help us settle in, to familiarize ourselves with what Beaton is known for, before we learn who he is. A clip of Beaton’s Academy Award-winning costumes for My Fair Lady—specifically, the scene at the racetrack—and how it is presented in the context of Love, Cecil almost serves as a metaphor for the film in its entirety. As we gaze upon the massively ornate hats and perfect black-and-white ensembles, we’re told that Beaton’s vision of the Edwardian era in My Fair Lady was a fantasy, a construction that doesn’t represent how people actually dressed back then. The illusion of fidelity wiped away for us, the audience. We then watch Eliza Doolittle’s Cockney accent slip out in that famous clip where she cusses out her preferred horse, which demolishes the fantasy in a visceral way. We see a creation, are told it’s not based in reality, and then are shown something that shatters that creation’s hold on reality once and for all. 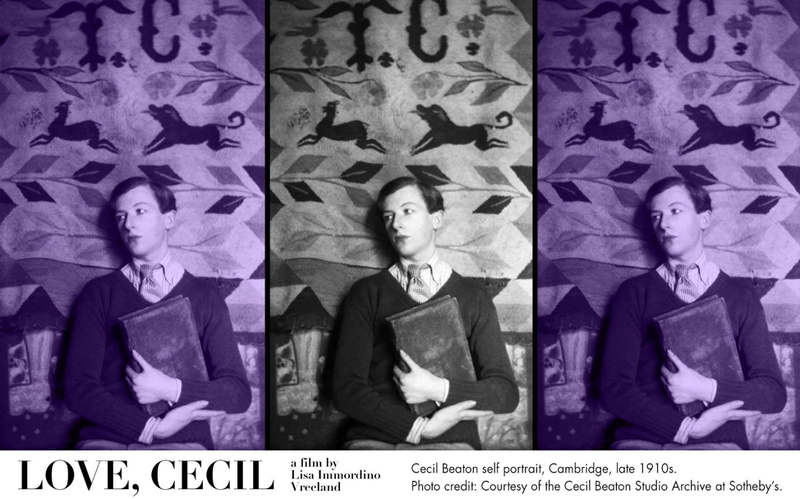 As we’re told in the early moments of Love, Cecil, after all, Cecil Beaton was enamored of the idea of the thing, the theatrical and fantastical inspired by theater, rather than the thing itself, which we then see over the course of his long, prolific career. It’s unfortunate that the way Love, Cecil is paced, then, means that it’s easy for your mind to wander. Besides the interviews with photography curators and fashion designers, there are plenty of primary sources: photographs, interview clips, diary entries read in voiceover by Rupert Everett. Between the more dramatic instances in his life that punctuate the flow and pique our interest, there’s so much information stuffed into the roughly ninety-minute runtime that these more specific events that reveal his character almost risk getting drowned out. Specifically, Beaton’s inclusion of an anti-Semitic slur in a Vogue illustration in 1938 is presented as a watershed moment in his life, one that led to concrete changes in his career and choice of subject matter in an attempt to atone somewhat for the harm he caused. The illustration caused him to be fired by Vogue; according to the narration, he basically didn’t get a job for a year and a half after the scandal rippled through the New York-based fashion industry. Thus being hired as a photographer by the British Ministry of Information to document the destruction of the London Blitz is presented as a way for Beaton to redeem himself—and it also didn’t hurt that his images became extremely famous, making him sought-after once again. Yet, Beaton also became a friend to, and photographer of, Wallis Simpson, the Duchess of Windsor, who was known to harbor Nazi sympathies and even visited Nazi Germany with her husband (King Edward VIII, who later abdicated) in 1937. Love, Cecil does not even mention this discrepancy, despite wholly accepting Beaton’s claim that he loathed Hitler and was not actually anti-Semitic, which makes the whole affair a bit of a missed opportunity to really dig into this glaring contradiction in Beaton’s character. It’s as if Love, Cecil is content to present his foray into anti-Semitism as something that happened to him, rather than something he did to himself. It might not, then, be a stretch to assert that Beaton was so enamored of the visual, of the fantastical, that he just didn’t think his actions would have consequences—in other words, did he extrapolate his artistic wont into his real life? Did he do so consciously? Sadly, Love, Cecil leaves the viewer to make that tenuous connection, rather than showing us how Beaton’s view of himself as an artist could have had repercussions in other areas of life.